Being obsessed by books, it could not be more evident to design Bomo Bookmarks by using the all time favourite Bomo patterns. It comes in 20 different designs, matching our collections. For those of you are in love with quotes, we have also great news: on the backside of each bookmark, you can note your favourite words from your beloved writers. 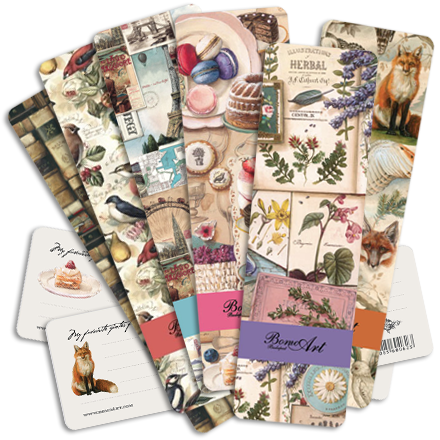 The bookmarks are including surprise motives in their backside naturally matching the front design. For collectors, we offer 12 bookmarks in a set that comes in freshly new designed paper boxes (2 pieces are free in the box). For this option please choose Bookmark - Set from the All Products.